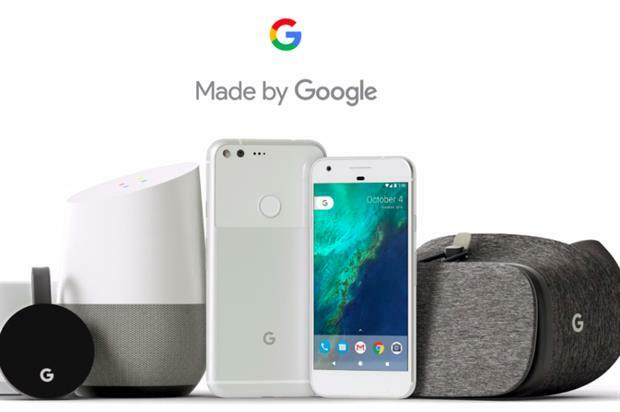 Some 1,500 delegates from around the world gathered at the Intercontinental hotel in London for Google's interactive conference series, designed by creative agency Wonder, to explore the latest developments in cloud technology. Delegates at the event, which is taking place today (20 October), were able to see speakers from Coca Cola and Spotify, as well as being invited to hear a talk from Pokemon Go inventor Phil Keslin. The event includes 13 hours of content, but offers guests the freedom to choose which sections of the event they would like to attend. Those unable to make the conferance in person were able to experience the event through a live video stream. The conference features immersive elements, such as 'The Playground' room, in which guests are able to test out the latest in Google technology. Technology on offer included Google's virtual reality (VR) kit, an 'Emotobooth', which can tell the emotion its subject is experiencing based on one photo, and data warehouse BigQuery, which is able to store and search datasets quickly and easily. Ben Turner, managing director of Wonder, said: "It's all about getting people to engage with more than the content on the screen. The delegate is the most important person [at an event]. It's key that you can choose the content. At this conference, you shouldn't have a period in the day when you're not interested because you can choose." This is the second time that the GCPNEXT tour has visited London, and the event is the culimination of the tour, which has previously visited Amsterdam and Tel Aviv. The tour is set to return in March 2017, commencing in San Francisco. Today (20 October), Google open their 'Made by Google' pop-up store on Spring Street in New York and earlier this month, the company staged a cardboard VR tour of Abbey Road from King's Cross.